While each company or freelancer has their own way of grouping and billing for services, there are some standards in the definitions of editing and proofreading that are consistent so we’ll start there. “Editing is the process of selecting and preparing written, visual, audible, and film media used to convey information through the processes of correction, condensation, organization, and other modifications performed with an intention of producing a correct, consistent, accurate, and complete work. The editing process often begins with the author’s idea for the work itself, continuing as a collaboration between the author and the editor as the work is created. 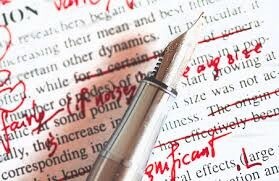 As such, editing is a practice that includes creative skills, human relations, and a precise set of methods. 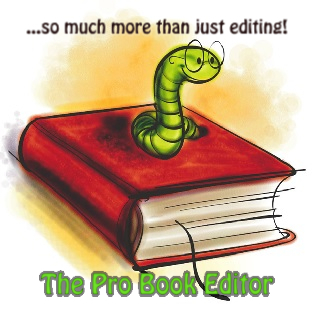 Paid editing services may be provided by specialized editing firms or by self-employed (freelance) editors. Editing firms may employ a team of in-house editors, rely on a network of individual contractors, or both. Such firms are able to handle editing in a wide range of topics and genres, depending on the skills of individual editors. The services provided by these editors may be varied and can include proofreading, copy editing, line editing, developmental editing, editing for search engine optimization (SEO), etc. 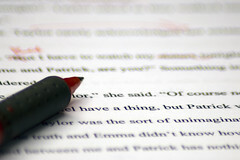 Level 3 – Content Editing includes Editing Levels 1 and 2 PLUS supplementary sentence re-writes when necessary. This level includes reviewing the plot/character elements for consistency in fiction/non-fiction works. Level 4 – Executive Content Editing is the most in-depth editing service and is all inclusive. You should expect this to include detailed and collaborative work between you and the editor to perfect the written manuscript through careful review and many re-writes. Reduction Editing – helps you decrease your document’s total word count while maintaining your presentation style. Your professional editor will delete, omit and truncate excess language in order to meet your requirements. All changes are outlined in an agreed upon tracking format so that you may review all changes and omissions prior to finalizing your manuscript. This method is best for shortening a manuscript that you feel is too long or an article that needs to stay within certain word length requirements. The correct method for proofreading is through a process of two experienced proofreaders working together to accomplish a thorough check and corrections of the document. One reads aloud and the other makes the notations to be sent back to the copy setter and corrected. Some services offer this method and a less costly method where someone experienced with both proofreading and editing works alone to complete the service that includes the proofreading aspect and the editing aspect. While the first method is more likely to eliminate all errors, whichever way you go is still going to have the human impact result and may still contain a missing period or misplaced comma. Budget and finding the right professional are key to the decision you make here. In today’s fiction market, it is more acceptable than even ten years ago, to draw outside the lines, if you will. A writer’s unique writing style often violates style guide rules and that is okay, sometimes, when it will make the book better and not distract from the reader’s journey. 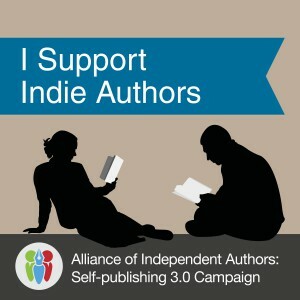 The best thing you can do, dear author, for the sake of your reputation as an author, for the sake of your chances at being a best selling author and for the sake of the readers that you hope will enjoy reading your book – choose your editor carefully. You want them to be direct with you, forceful enough to push you to change things that may be uncomfortable for you but flexible enough to protect your style. In other words, they should be very skilled in their field and have a good grasp on what readers want so they can help you balance following the rules and breaking the rules for a polished manuscript that will dazzle and delight the readers. Good luck!